Congratulations Mr GATCHALIAN! 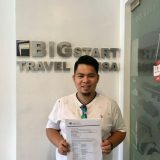 Thank you for the TRUST and CONFIDENCE with BIGSTART!!! 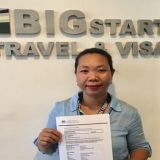 ” A good friend of mine highly recommended BIGSTART to me, Indeed they never failed me and got my visa approval immediately. Your the best BIGSTART!!! WAITING IS OVER!! !… All valued and future clients of BIGSTART TRAVEL and VISA ASSISTANCE can now pay any of our services to all 2500 branches and partners WORLDWIDE!!!!! STRONGER and BOLDER BIGSTART. 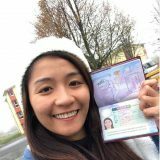 CANADA: VISA GRANTED – MARCELINO FAMILY!!! 5DAYS SPOUSAL VISA APPROVAL (after exit>). THANK YOU FOR THE TRUST and CONFIDENCE with BIGSTART Elyne Rossett Torrento-Limco and Julius Limco! !